Thank you for your interest in the wide variety of professional clinical skin care services I offer. If you would like any other service outside of the list below, simply ask upon scheduling your appointment. Certain services I provide require a Medical Director. Dr. Scott Rollins is Skin Deeps Medical Director. 2470 Patterson Rd. #8 Grand Junction. 970-245-6911. Consult with Jo Ann and experience skin care as never before. Jo Ann will provide a clinical evaluation of your skin, products and overall health. You will leave with a fully customized skin care plan. We will set goals together to achieve lasting results. When you need a little Me time and you don’t have time for a full treatment, this provides a nice relaxing option. Includes customized cleansing, exfoliation, mask & moisturizer/sunscreen. A treatment to soften the not-so-sweet edges. This is an excellent deep pore cleansing facial for anyone suffering with acne, especially teens. Fully customized deep pore cleansing, dis-incrustation using galvanic current and enzyme therapy masks, extractions, hi-frequency (to minimize bacteria), acne control mask, beta-hydroxy toner, acne solution moisturizer and sunblock. Enjoy a moment of sweet relaxation and comfort. 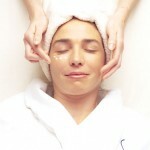 This tender loving care facial is for oncology patients. Immerse into a refreshing and gentle skin treatment. The TLC will moisturize, soothe and condition stressed skin from harsh chemotherapy and radiation treatments. You will feel calm and relaxed with this total body recovery and hydration that just isn’t served anywhere else. Let your beauty blossom. Freshen your complexion with this Skin Deep Customized treatment. Enjoy, deep pore cleansing, sonic skin cleansing, customized enzyme therapy mask with steam, skilled clinical extractions, aromatherapy massage, customized mask, anti-aging serum, toning, moisturizer & sun protection. Herbal eye pads & foot/hand massage. Purchase a series of 4 treatments and save $60. Jo Ann will custom blend your specialized treatment according to your skin condition. This facial incorporates many choices created from algae, mud’s, olive oil, lavender, chocolate, spices, ampoules and pumpkin. This Zensation Facial promises layers and layers of skin glowing goodness. OH – what a way to kick off your day! What makes OxyGeneo® a Super Facial? OxyGeneo provides 3 effective facial treatments simultaneously. It combines gentle exfoliation, natural skin oxygenation, and a deep facial rejuvenation with the infusion of essential revitalizing nutrients.Breakthrough OxyGeneo® Technology provides superior anti-aging results by treating the skin at a deeper level. Exfoliate, Infuse, and Oxygenate your way to youthful skin. Plump and hydrate, restore skin volume, renew youthful glow, revitalize dull complexion, reduce the appearance of wrinkles, firm skin and tighten pores, improve skin cell production, reduce appearance of pigmentation. Safe for ANY skin type! Plants with healing properties free of GMO and gluten based products beautifully scented by nature. Created by Julie Levine of Leaf People Skin Care. Julie’s lab is located here in Grand Junction. She uses the latest botanical research providing purely radiant results. It is a pleasure to add this amazing line of scientifically based customized skin care choices to Skin Deep. This facial is excellent for all skin types and ages, this facial results in a complexion that is dramatically refined, with no downtime, peeling, or other negative side effects. Intensive clinical treatment designed to rapidly and safely resurface the skin, reducing fine lines and wrinkles while smoothing, softening and encouraging cellular renewal. Awakening your senses, this phenomenal treatment incorporates both active and soothing formulas, which display aromas of warm cinnamon and spice as well as cool peppermint. The centerpiece of this remarkable treatment system is a combination of two therapeutic masques. The Resurfacing and Rejuvenating masques are followed by a unique combinations of serums and creams. Stop the crow’s feet, please! Never before have the eyes been so pampered…visible results from the very first treatment. By delivering a high concentration of marine collagen & marine elastin for outstanding absorbency, this treatment is proven effective to protect your skin against premature aging, smoothing wrinkles and tightens the skin around the eyes, reducing puffiness and dark circles. This is not a stand alone service but may be added to any Skin Deep facial treatment. Get ready for a mega-moisture boost, your skin will be smoothed to perfection. Created by Dr. Pugliese of Circadia Skin Care. This treatment can be used on any skin type. The germicidal action makes it extremely beneficial for acne. The lightening and tightening capabilities give instant results . This procedure is quick, easy and pleasant. The end result is clear and luminous skin with a feeling of firmness. It helps to decrease redness and stimulates collagen enhancing cells. Extractions included. Get up & GLOW! Finally, the brilliant, beaming skin you’ve been waiting for! Freshen your complexion with a blend of deep wrinkle combating peptides and Vitamin C. Keep your sun-kissed skin ultra-smooth with an extremely high dose of lipophilic Vitamin C. This age-defying treatment imparts so much vitamin and antioxidant goodness, your face just plumps up with happiness! Formulated with a 25% C-Lipo a powerful form of Vitamin C that helps stimulate collagen, increases moisture, and accelerates healing. Enjoy this super recovery facial and let your beauty blossom! Invigorating treatment to pep up your back complexion. Steaming compresses of pore refining essential oils will cleanse, exfoliate and refine the skin on your back. Be bare and confident and enjoy this rejuvenating delight. Treatment includes: Deep pore cleansing, enzyme therapy mask with steam, extractions, massage, customized mask and alpha hydroxy treatment. Nothing is more important than enhancing the beauty of the eyes, Achieving beautiful eyebrows and luminous lashes is possible for everyone! While the results may vary, just like regular coloring a touch-up may be necessary between 4-6 weeks. Your hands will be massaged with essential oils and wrapped in warm wax. You will then enjoy the warmth of heated mitts for a truly luxurious deep moisturizing treatment. This is an add of service to any treatment. Waxing services may not be performed on clients who are taking Accutane, Retin-A, Renova or Antibiotics, Insulin injecting diabetics, steroid drugs or any blood thinning medication, due to the sensitivity these products cause to the skin. Hair growth must be approximately 1/8″ in length or 2 to 3 weeks of hair growth to receive waxing services. Please allow 24 hours pre/post sun exposure. If you are planning for a special occasion, I recommend that you schedule your waxing service 3 to 5 days before your event or departure. Micro-needling is a electric skin needling device made especially for this purpose. The device is a pen shaped and studded with 12 very fine needles. It is used to improve collagen production, fine lines and wrinkles, and acne scars. This treatment results in the formation of new tissue layers of elastin and collagen fibers, as well as improved blood supply to strengthen capillaries. This is an anti-aging delight. Recommended in a series of 1 treatment per month for 4 treatments. A consultation is required BEFORE scheduling. Rejuvenate your skin and increase your collagen production with Microdermabrasion. Most people require a series of 4 treatments every 10 days to receive optimum results. Although a single treatment will greatly benefit and restore beautiful radiant skin. Treats a multitude of skin conditions. Microdermabrasion is based on mechanical exfoliation, the results are immediately visible after the first treatment, making way for smooth, softer skin and a refreshed complexion . This non-invasive skin rejuvenation procedure that will remove the epidermal layer and initiate cellular regeneration in the form of collagen. A skin lighting agent will be used prior to the treatment to assist with hyper-pigmentation. Extractions, a calming mask and sun screen will be applied post treatment. Most people require a series of 4 treatments every 10 days to receive optimum results. Although a single treatment will greatly benefit and restore beautiful radiant skin. Treats a multitude of skin conditions. A dermaplane/epidermal leveling treatment with light AHA exfoliant/hydration ampoule or mask. This treatment will eliminate “peach fuzz” and assist in the removal of dead skin cells allowing a jump start for skin renewal and allowing a nutrient infusion to follow.The results equal smooth skin, which promotes a flawless make-up application. This a a collagen stimulating treatment that aids in the treatment of hyper pigmentation. Treat your skin to true radiance. If you are looking for beautiful and healthy glowing skin. The VI peel contains a blend of specially selected acids that work in combination with each other to give you a fresh an evenly toned complexion. The trichloroacetic acid in the formulation is a very good scar-healing agent that also stimulates the growth of collagen for deep level cell renewal. It also contains the vitamin-A derivative Retin-A that works against wrinkles and fine lines, as well as ascorbic acid (vitamin C) for it’s natural antioxidant and exfoliating properties. The anesthetic and antiseptic properties of phenol are also employed for the treatment, while also greatly influencing the ability of the solution to penetrate the skin layers. Excellent for acne and hyper-pigmentation known as Melasma (pregnancy mask). A consultation is required BEFORE scheduling. Melt into bliss and experience the most divine ancient Ayurvedic ritual to rest and calm the mind. This traditional ayurvedic treatment is my favorite to reduce tension. This luxurious warm oil treatment is infused with aromatic essential oils that are dripped onto your forehead and down through your hair. Believed to center and balance your chakra points. You will receive a massage of the head, neck, shoulders and feet. It is recommended to leave the oils in your hair for at least 1 hour post treatment for conditioning. Skin Deep Gift Certificates are the perfect gift for any occasion. Single treatments or a customized package are available upon request. The perfect gift! Skin Deep is committed to offering clients the latest in non-surgical clinical esthetic technologies and techniques. My services are delivered with the highest standards available. I promise to offer only the safest, most efficacious treatments and procedures providing you with high quality, services and products. Skin Deep provides an environment that is clean, comfortable and relaxing for both men and women. It is my goal to provide you with knowledge, comfort and personalized attention creating a totally memorable and rejuvenating experience. I enjoy building an enduring and rewarding relationship with you my client and the community, through knowledge, wellness and superior service. Because Skin Deep is by appointment only your appointment is time reserved exclusively for you. I kindly request that you please review the re-scheduling policy. If you need to reschedule or cancel an appointment, Skin Deep requires a minimum of 24-hour’s notice. If you need to cancel your appointment, please call me at: (970) 250-9249. If I don’t answer leave your information on my voice mail. Please keep in mind that “no-shows” or last minute changes leave me with empty appointment times. The re-scheduling policy allows me time to inform guests on a standby list of any availability, thus better serving everyone. Arriving late will deprive you of precious treatment time. To avoid delaying my next guest, your service will need to end on time regardless of when you arrived. More than 24 hour’s notice, service will be canceled at no charge. Less than 24 hour’s notice, 50% of the service price will be charged. Failure to show without notice, 100% of the service price will be charged. For your comfort, cell phones and pagers are asked to be turned off in the spa area.